Exceptional services is one of our core values at Sync Visas that we live and work by. Our expert lawyers & Consultants along with their dedicated result-oriented attitude towards our clients make us different from the rest of the immigration consultancies. With the help of our specialized migration experts, we have happy clients from all over the world. Real testimonials of just a few of thousands of our clients are shared below for you to assess our trustworthiness at your fingertips! Complete our Online Free Assessment Form and speak to one of our Immigration Experts for Canada, New Zealand, Australia, Denmark, Portugal or UK. We are happy to assist you in finding out your eligibility. Thank you so much Sync Visas Team, Especially my consultant and case manager! You guys have provided me an excellent service. It would be difficult for me to put all the details and information together all by myself. Thank you so much again Sync Visas Team. I would like to say to Sync visas immigration consultancy. I am really satisfied with the customer services you guys offered. I would recommend sync visas to my friend and contacts. Flying to Canada next month to start a better life. Wonderful experience with Sync Visas and his team. Thank you so much for all you people have done to me and your prompt response to expedite and process my application for Canadian PR. All worth it. May God bless you and your company. Thank you Sync visas for your valuable support and professional guidance in getting my New Zealand visa. You people are always there to answer my queries and answer my calls. Great support from you guys!! I am very thankful to the entire team of sync visas and this help is really unforgettable. Highly Recommended!! Sync Visas is the best immigration consultancy in Dubai. All I can say is Thank you for getting my visa just in a few months. I really appreciate your hard work and dedication towards my case. Your team of Immigration Consultants helped me when others couldn’t. Thank you so much Sync Visas. I got my Canadian PR visa approved. I can’t wait to be out of this place. This has been my lifelong dream and it has become a reality because of you guys. Thank you so much for the hard work. I am glad that I choose Sync visas for my UK immigration process. They offered very good and professional services. They were helpful enough to me that I didn’t have to spend time or stop my life because of my visa processing. They helped me with almost everything. Thank you guys !! Sync Visas is really genuine and good immigration company. I applied for Portugal Residence Visa under Golden Visa program. In the beginning they have explained me the entire process including cost and time. Without any headache and stress, I got the visa approval just in a few months after applying. 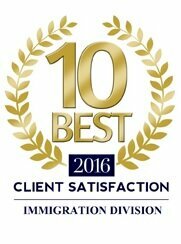 All thanks to Sync visas team for such great and valuable efforts. By profession I am nurse. I worked in Dubai for almost 6 years. 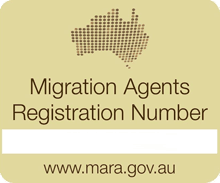 I applied for Australia Skilled migration visa through Sync visas. As one of my friend already got her Australia PR last year. She also applied through sync visas immigration consultants. I was shocked when I saw my visa approval email. All thanks to Sync visas team for their dedication towards their work. Thank you guys!! Sync Visas Immigration was persistent in their efforts to get me a visa. I have recommended it to many of my friends and will certainly recommend to you as well for Canada Immigration. It’s worth the agent fees. From last two months I have been in Canada and its really nice experience. Staff has complete knowledge of what is needed and will guide in professional way. Thanks team! I am so excited after getting my Australia visa approval that I can’t express my happiness in words. All thanks to Sync visas. I went to many consultancies but sync visas is the best. I was walked through the process and guided on what exactly I have to do. The whole process was relatively stress free because of staff in depth knowledge and experience . All my calls were answered and my emails replied. Thank you so much. I am Amandeep Singh. I applied for Denmark Visa through Sync visas immigration. I would like to say thank you to the entire team of sync visas for such big success. Much Appreciated!! Thank you once again guys!! I got my UK visa with the help of Sync visas. I have heard about this company from one of my colleague. So checked on internet. This is really genuine and good immigration consultancy. Thank you so much sync visas for such great efforts that you people put in my case. I would recommend you guys to contacts as well. Great job! !